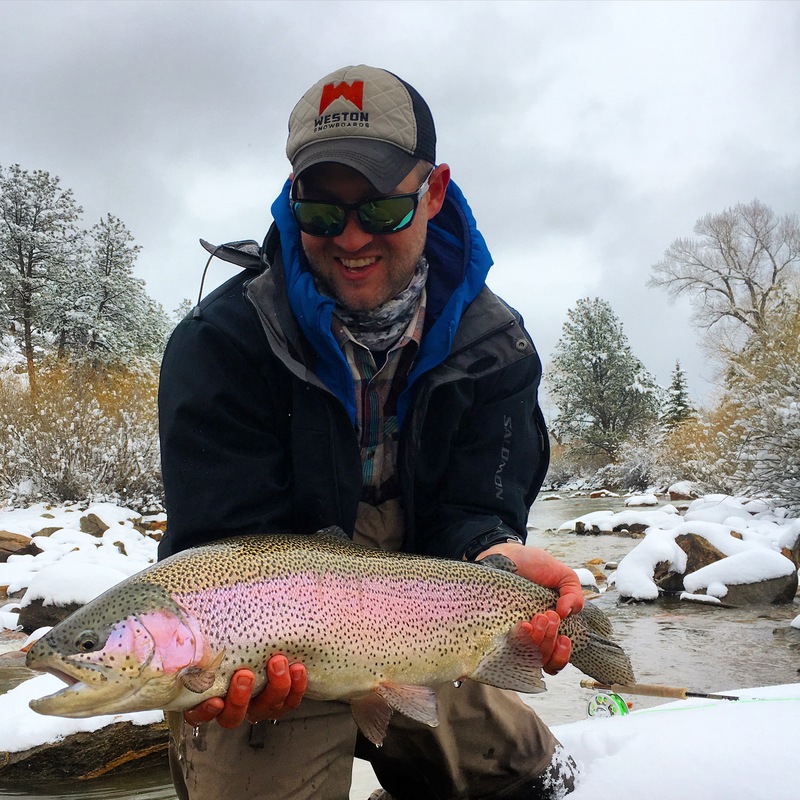 Boxwood Gulch offers several species of trout for the angler who enjoys a mixed bag or perhaps hasn’t experienced the pleasure of fighting a certain trout breed before. Tactics for each of our species varies from midging for super selective rainbows, to streamer fishing for monster browns. 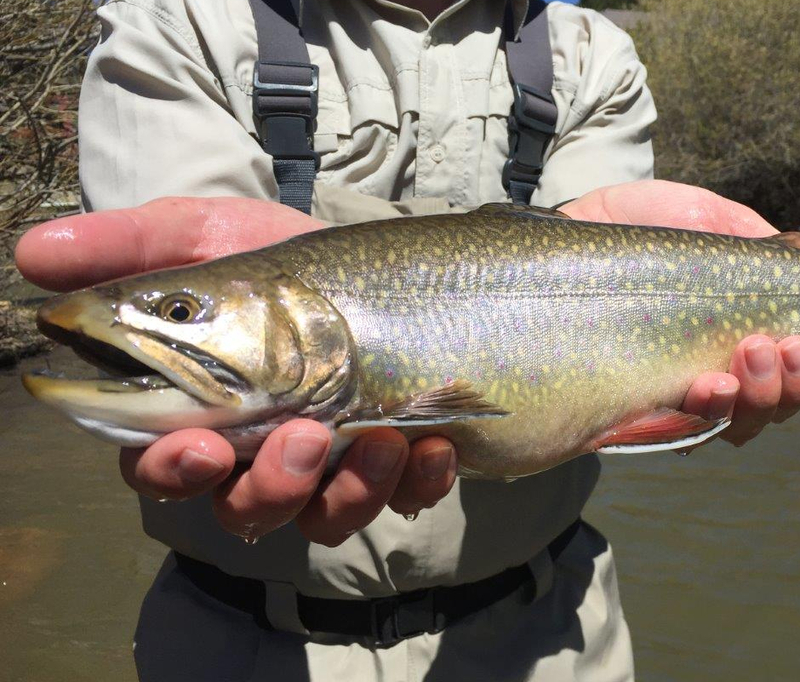 Boxwood Gulches population is made up of over 1500 fish on 1 mile of water with trout ranging from 12 inch brookies to 30 inch bows and browns – 50% rainbows, 30% browns, 20% cutbows, snake river cutthroats, brookies, and the elusive palomino rainbow. Boxwood Bows – Always in tune to the surface, Boxwood bows start rising in March and are still taking hoppers and attractor patterns well into October. BIG BOWS? 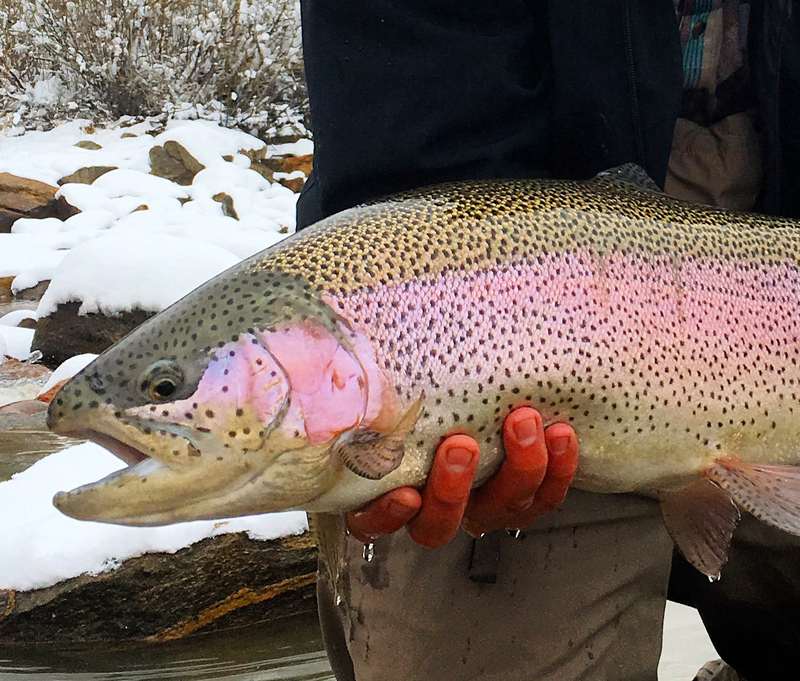 One only has to glance at the big fish board in Boxwoods clubhouse to see countless photos of elated anglers holding fish of 24 and 28″ to see what awaits them among the riffles and runs of Boxwood Gulch. Boxwood Browns – Aggressive, wary, and stout best describes the browns that average 16″ and are full of color and fight. The fisher that likes to swing a bugger in pocket water or skate a mouse pattern across a deep run will find him or herself targeting this species simply because of the rod jarring strikes. 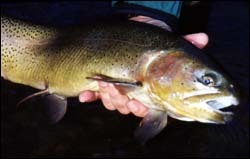 Bigger browns of the 2 foot caliber are evening predators, and are usually taken on large streamers like sculpins or string leeches as twighlight begins to shroud overhanging willows where the ambush by a monster brown is usually the big fish of the day. 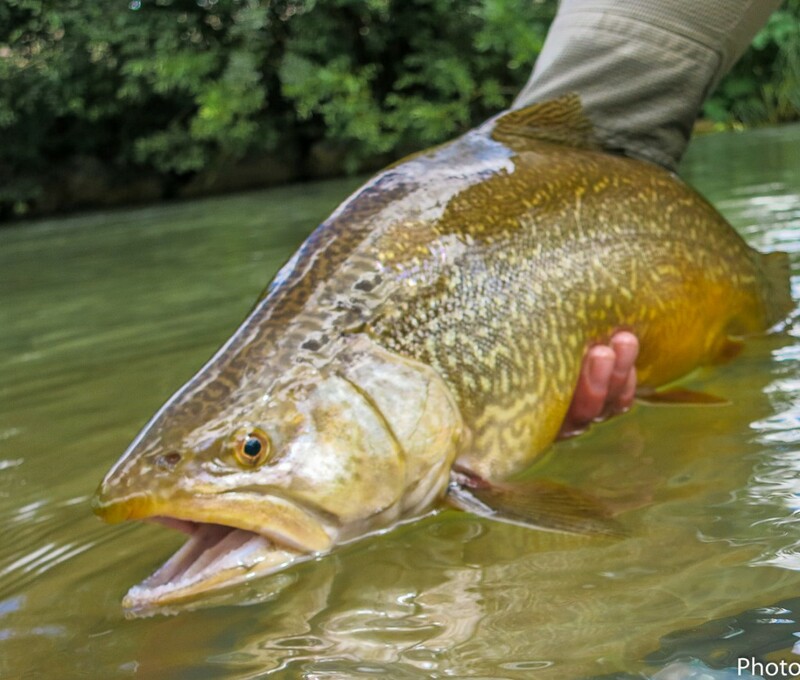 Tiger Trout – The rare Tiger is a cross between the Brown and Brook Trout. The result is a very aggressive fish that exhibits the best qualities of both parents.Notice the worm wood/tiger markings and the white tipped fins. They fight extremely hard even after you get one in the net….watch your fingers. These guys have teeth and they want to use them. Several State Record Tigers have been landed at Boxwood since 2012. The State will only honor the record if they weigh the fish. Of course the fish would be dead and we don’t do that. Proceed with caution and lets keep them alive. Snake River Cutthroat– Sometimes referred to as Salmo inaccessablis, this trout is usually taken in tight water after careful stalking and the perfect cast. Known to reach 28″ in length at Boxwood, this species can be both a joy to hook, or very humbling after countless refusals of the anglers offerings. Cutbows– POWER, HEAVY, LINE BREAKERS. Easy to recognize immediatly after the hook set because of their leaping ability and speed. This fish rarely reaches 22″ in length, but boasts the biggest girth of all Boxwood trout. With a distinct love for LARGE flies, the Cutbow is the first to knock a mouse pattern off the water in early summer or smack a hopper with reckless abandon. Brookies-The first to look to the surface in early spring, this species is always an unexpected delight. 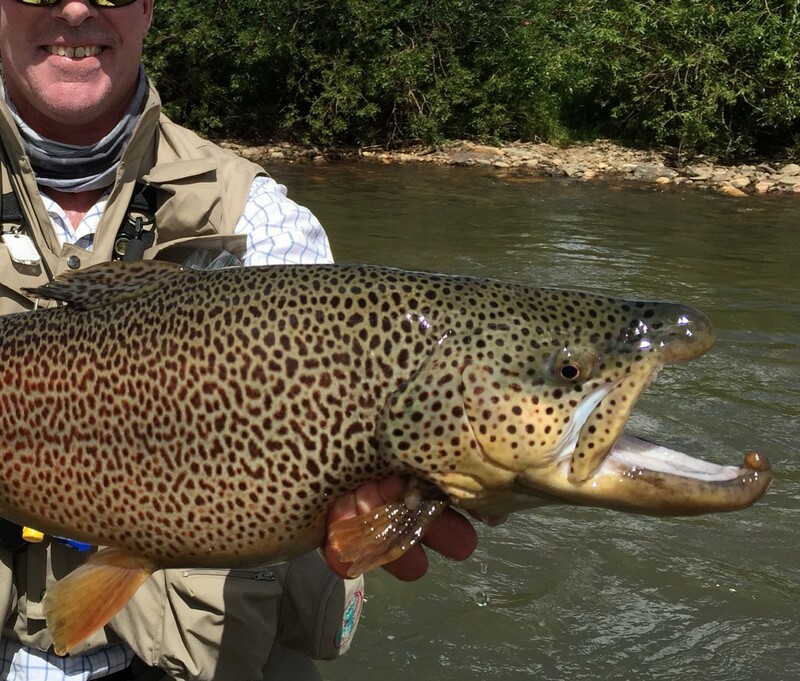 Averaging 14″ with some males reaching 17″, they start to dress in spectacular colors in mid-September in preparation for the fall spawning ritual. Many of these fish make it into the river from the numerous feeder creeks in our area. Fly selection: Better bring a few Royal Wulffs. Palomino Rainbow– The elusive Palomino is Boxwoods toughest fish to catch. Because of their unusual coloration this species has had to develop it’s senses to the highest degree simply to survive bird predation from Ospreys, Eagles, and Kingfishers. Advice from your guide on taking one of these is usually two words. GOOD LUCK!